1. Place the fetal pig in the dissecting tray with its ventral side up. Spread and secure all four limbs with twine. a. Make a longitudinal incision passing anteriorly from the diaphragm along one side of the sternum. Continue the incision through the neck muscles to the mandible. Try to avoid damaging the internal organs as you cut. Make a lateral cut on each side of the sternum into each arm (fig. 47.1). b. Make a lateral cut on each side along the anterior surface of the diaphragm, and cut the diaphragm loose from the thoracic wall. c. Spread the sides of the thoracic wall outward, and use a scalpel to make a longitudinal cut along each side of the inner wall of the rib cage to weaken the ribs. Continue to spread the thoracic wall laterally to break the ribs so that the flaps of the wall will remain open. It is often necessary to rinse the body cavities to remove any coagulated blood or excess latex that has leaked out during injection. 3. Note the location of the heart and the large blood vessels associated with it. Slit the thick parietal pericardium that surrounds the heart by cutting with scissors along the midventral line. Note how this membrane is connected to the visceral pericardium that is attached to the surface of the heart. Locate the pericardial cavity, the space between the two layers of the pericardium. 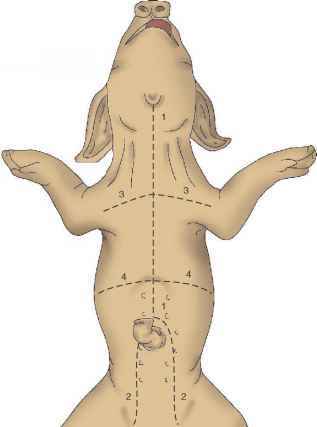 Figure 47.1 Incision lines indicate the locations for opening the ventral body cavity. 5. Trace the pulmonary trunk and locate the short vessel, the ductus arteriosus, that is connected to the aorta (fig. 47.2). 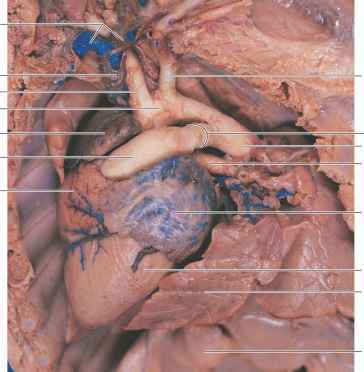 This connection, found in fetal circulation, shunts blood from the pulmonary artery to the aorta as a partial bypass of nonfunctional, developing fetal lungs. This shunt becomes occluded after birth (forming the ligamentum arteriosum), allowing a fully functional pulmonary circuit. Figure 47.2 Heart and associated arteries and veins of fetal circulation, ventral view. The anterior portion of the left lung has been removed. Diaphragm remove the heart as it is needed for future relationship of major blood vessels. 7. 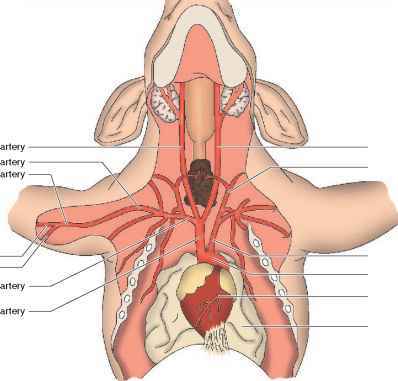 Using figure 47.3 as a guide, locate and dissect the following arteries of the thorax and neck. a. Use scissors to make two longitudinal incisions from the pubic bones and continuing around the umbilical cord to meet at the midline. Extend the incision anteriorly to the diaphragm. b. Make a lateral incision through the body wall along either side of the inferior border of the diaphragm and along the bases of the thighs. c. Reflect the flaps created in the body wall as you would open a book, and expose the contents of the abdominal cavity. Sever the umbilical vein that extends from the umbilical cord to the liver. Reflect the umbilical cord along with the midventral strip of tissues to expose the two umbilical arteries parallel to a central urinary bladder. 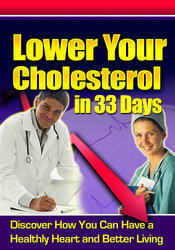 Flush the abdominal cavity of any coagulated blood or latex that leaked out during injection. d. Note the parietal peritoneum that forms the inner lining of the abdominal wall. Also note the visceral peritoneum that adheres to the surface of organs within the abdominal cavity. 10. As you expose and dissect blood vessels, try not to destroy other visceral organs needed for future studies. 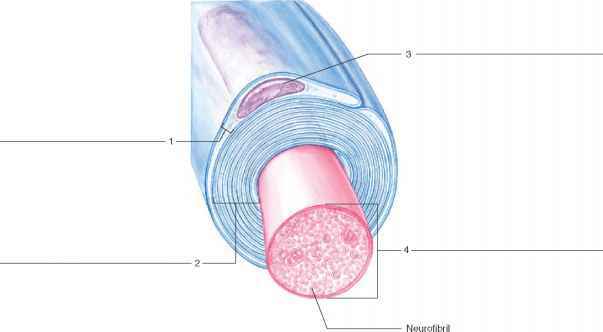 At times it will be necessary to displace some abdominal organs to locate some deep blood vessels. 12. Complete Part A of Laboratory Report 47. How to cut the sheep carotid artery?